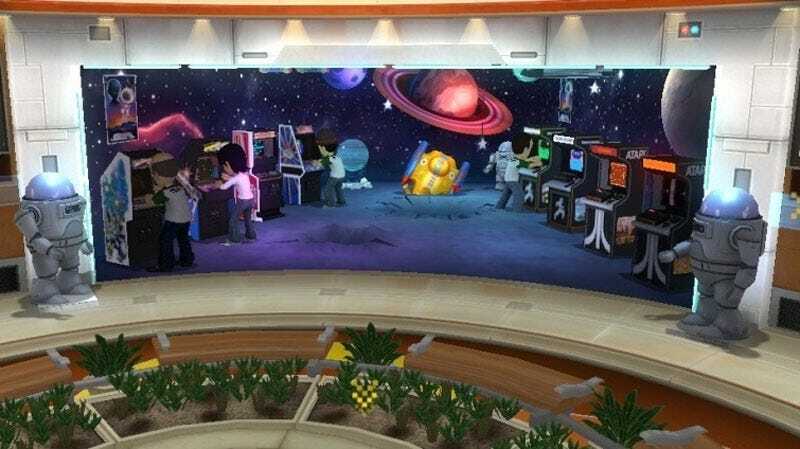 Microsoft confirmed last night it was bringing the Game Room virtual hang out space to Xbox 360 and Games For Windows this year, an online arcade and—ahem—virtual console for your Xbox Avatar. What games will Xbox 360 owners get? Initially, the service will launch this spring with 30 original arcade and old school console games, with Centipede and Asteroids Deluxe name-checked as leading the charge. The line up is comprised entirely of games for the Atari 2600, Intellivision and arcade offerings from the likes of Atari and Konami. As the line-up is announced to reach 1000 games, it will at some point have to go beyond that small list of companies. The following 30 games were showcased in the Game Room debut trailer, with a few more making cameos, but not yet officially announced.